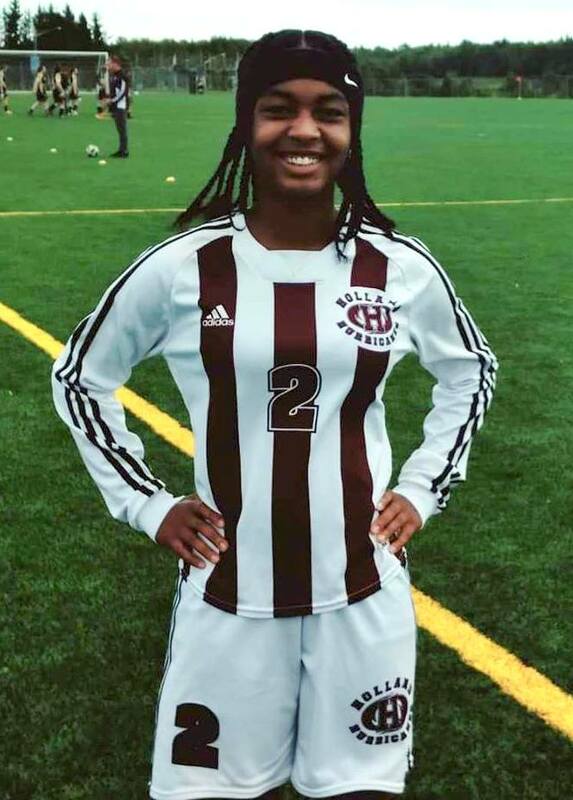 Jade Stewart playing in her first game for the Holland College Hurricanes Women’s Soccer programme scored twice in a 10 – 0 win. Stewart and her teammates took care of the Dal AC Rams at the Terry Fox Sports Complex in Cornwall. Holland College quickly jumping out to a big lead in the first half. They scored their first goal of the game just four minutes in when Laura Wells opened the scoring. Kathrine McEwen would add goals in the 11th and 33rd minutes before Ali Fahie scored in the 34th and Wells struck again in 35th which gave Holland College a 5-0 lead entering halftime. The second half was more of the same as Holland College matched their impressive goal total of the first half. Stewart would score twice, in the 63rd and 65th minutes, while Emily Rasmussen would score in the 82nd, Grace Peardon one minute later and Taylor Thorne’s goal in the 86th minute would close out the scoring, giving Holland College the 10-0 win.